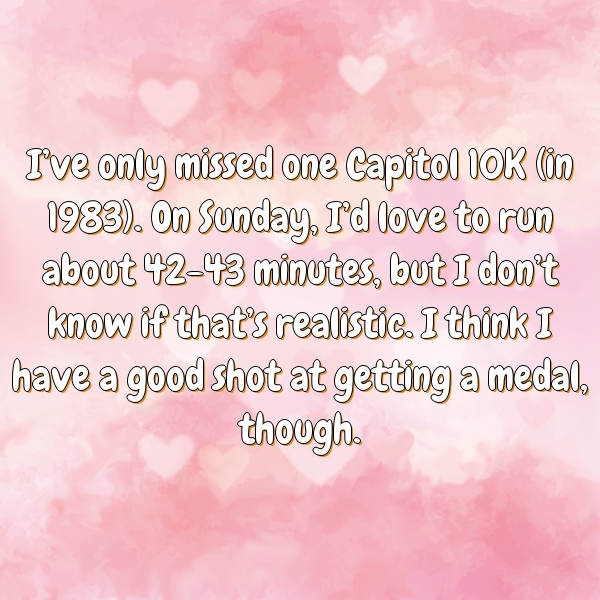 I've only missed one Capitol 10K (in 1983). On Sunday, I'd love to run about 42-43 minutes, but I don't know if that's realistic. I think I have a good shot at getting a medal, though. I love you Hilary Duff! It is by loving and not by being loved that one can come nearest to the soul of another.